Especially designed for the very young, our stylized alphabet is the easiest way for children to connect letter symbols with the sounds of the letters. Pull up the rocking chair and enjoy the Alphabet Tales together, and as a wonderful by-product to cuddle time your child will permanently link the images of the letters with their sounds. 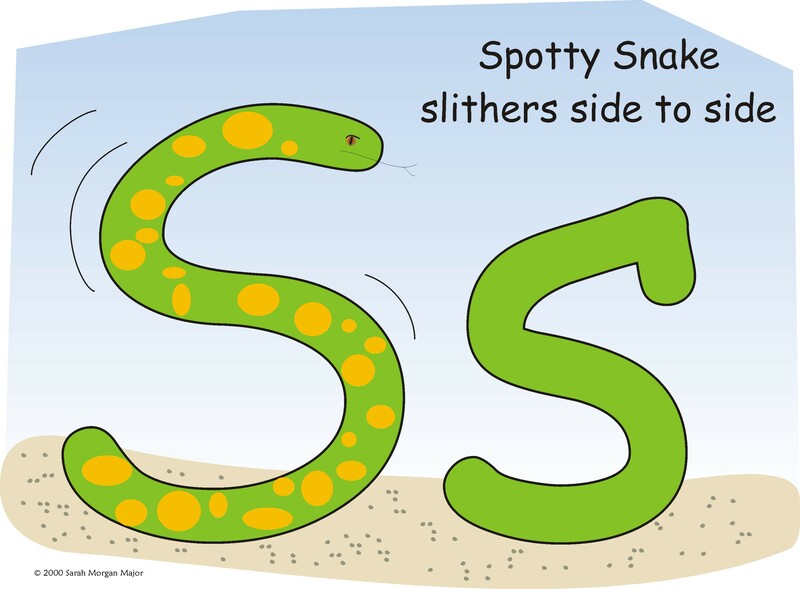 Abner met Spotty Snake one morning as he was gazing happily around his home. At first he thought Spotty was a strange tree with yellow spots, but as he looked way up in the air he realized that the “tree” had an eye and a little tongue zipping in and out of its mouth. So Abner yelled, “Come down here where I can talk to you.” And Spotty did, as you can see! 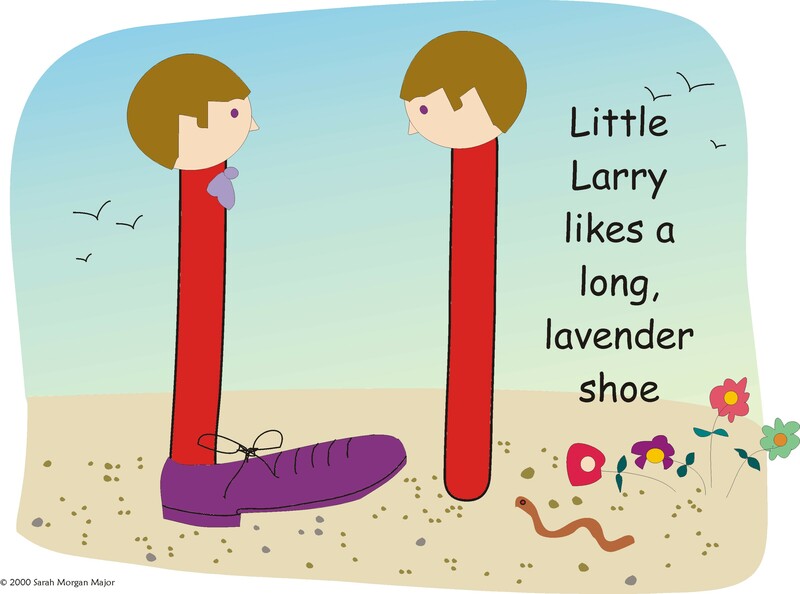 Larry ended up with a long lavender shoe because every time he and his brother went out to play, Little Larry would tip and wobble and fall down. One morning after a hard rain, Larry fell into the mud and an earthworm stuck to his front teeth! YUCK! Once he got his long lavender shoe, he could play. And no more tipping over!